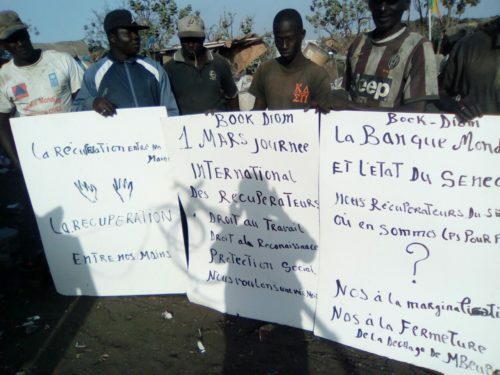 Recyclers from Bokk Diom association in Senegal. It is with great pleasure that we are sharing with all the recycling community and allies the different campaigns and demonstrations taking place today march 1st, international waste-pickers day. This year we have from poems and radio shows in India, to gratitude campaigns in Colombia and much more! Wishing all waste-pickers an excellent day of struggle, victories and commemorations. A global hashtag to unify the campaign in the different social media. 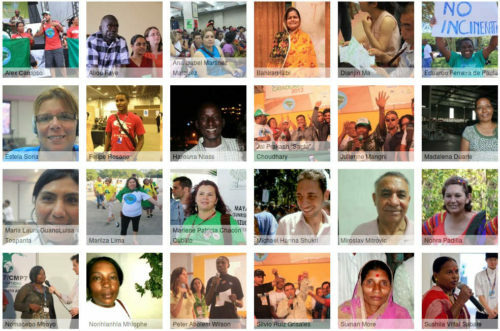 You can see a photo gallery with images from waste-pickers all over the world holding the global message for this year. 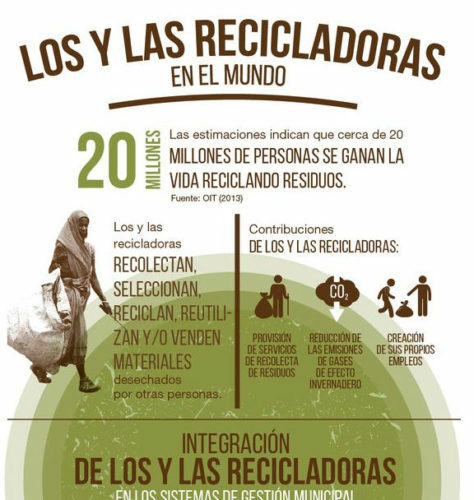 Collaborative video for the global campaign “Recycling in our hands” coordinated by Argentinian Federation of Waste-pickers with videos from Colombia, Ecuador, New York, Paris and support from Globalrec. Two 2 life stories for the Life and voices section of the globalrec.org website written by Gilberto Chagas, waste-pickers from the MNCR. 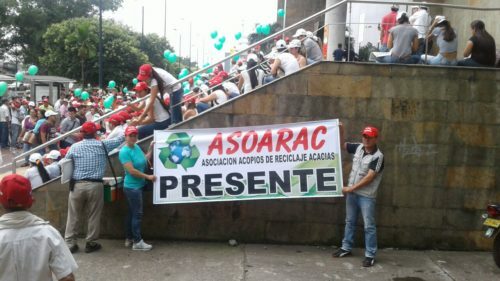 Redlacre and lots of its WPs leaders (from Colombia, Chile, Nicaragua, Uruguay and Brazil mostly) are posting several pictures from its history and daily fights with hashtag #I am a recycler all over their facebook accounts. 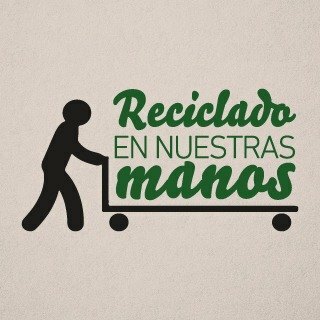 The local tv in Bogota Colombia (CityTV) has launched a campaign #ThankstoYOUrecycler, where journalist, singers and other public figures thanks for the daily work of wastepickers. You can see in twitter and the video showing some of the examples. GAIA member has launched an Online petition to support waste-pickers in Ecuador due to displacement of their working space at the Portoviejo landfill. You can support them by sign it! Sonia Dias, WIEGO waste-picker sector specialist has prepared a special blog post: “Four strategies to integrate waste pickers into future cities” . 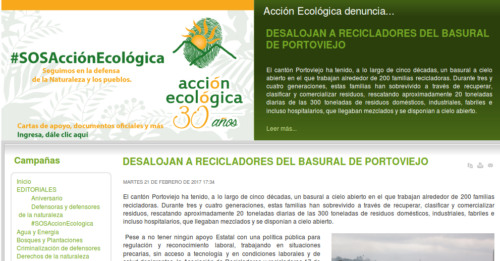 There would be also a new wastepicker infographic to get launched on WIEGO facebook page and in this tweet. The two associations in Paris Sauve qui Peut and Amelior has come together to organize a public demonstration all day long in front of Hotel de Ville in Paris, reclaiming among others their right to work and to have a space in the city. March 1st 2017 march in Bogota. 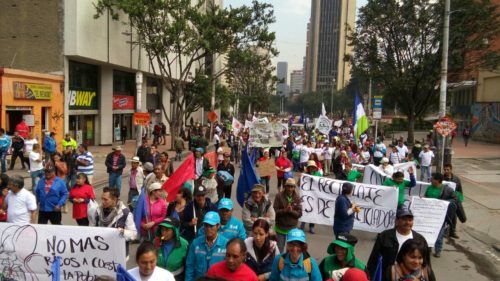 ARB like every single year has prepared a huge demonstration in Bogota and some demonstrations in at least 3 cities from Colombia where ANR has some influence. They have prepared some special video to remember about the importance of this day. See the post with more photos. 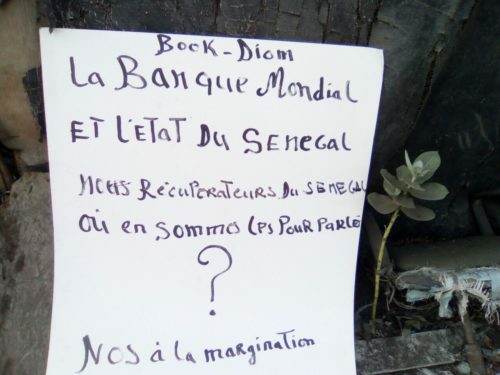 Bokk Diom, the waste-picker association from Dakar dumpsite and the oldest in the african continent, have shared several pictures and videos to contribute to the 1st march and they will meet with local authorities to reclaim their demands. The Argentinian Federation is organizing an assembly and leaflets distribution at the Buenos Aires Obelisco today at 18pm as well as they are preparing the videomanifesto in several languages and the photogallery on their website.